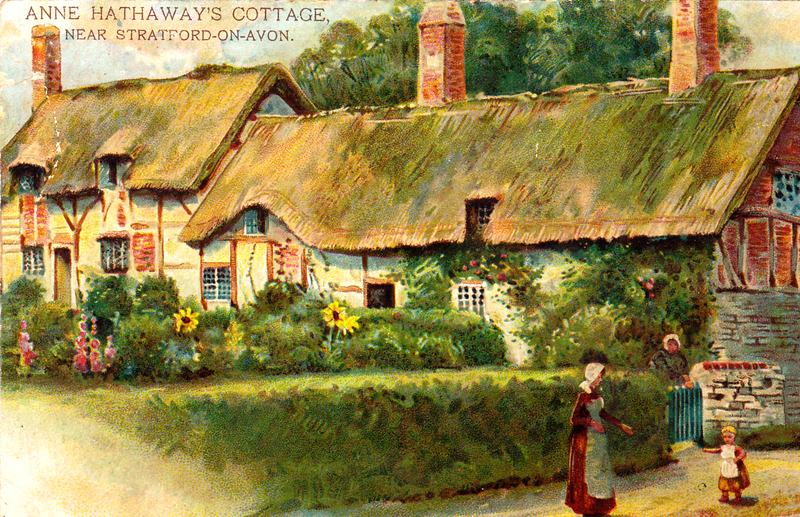 Today’s image is a beautiful vintage postcard of Anne Hathaway’s Family Cottage. She was William Shakespeare´s wife and they were married in 1582. She is assumed to have grown up in this farmhouse that was the Hathaway family home, now is a major tourist attraction for the Stratford-upon-Avon village .